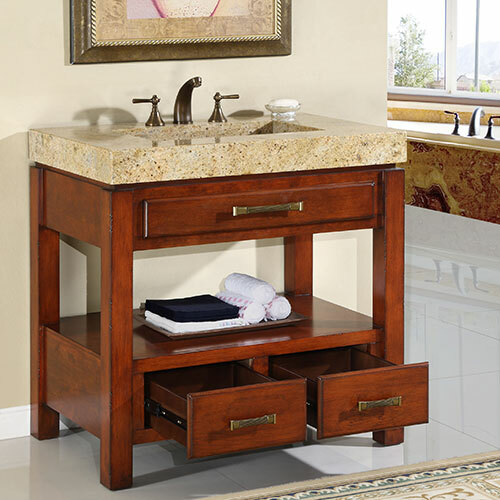 The Licata Single Bath Vanity features an open shelf and a straightforward design which gives it a contemporary atmosphere. 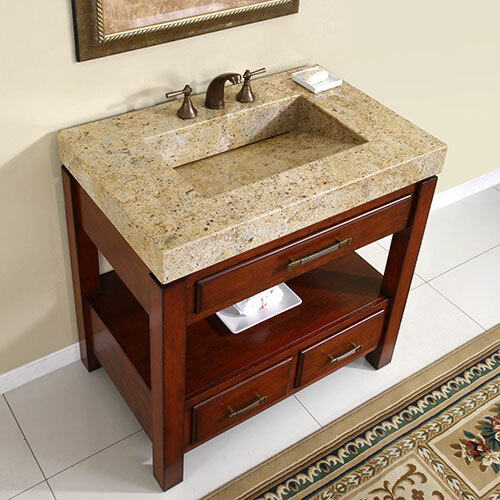 The Kashmir gold granite counter top features an integrated sink, as well as pre-drilled holes for easy faucet installation. 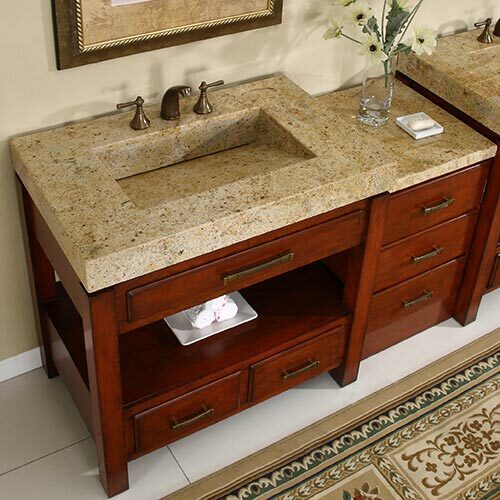 An optional drawer bank with matching counter top and finish is also available. The main cabinet features two drawers, and the drawer bank provides and additional three drawers. 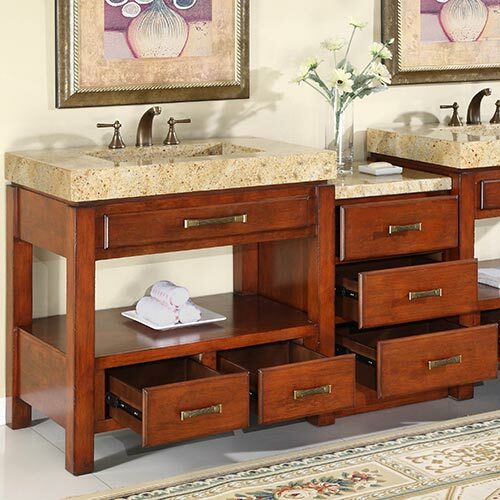 The clean lines and versatile style make this vanity easy to coordinate with different bathroom designs.